Historical reality has a way of conflicting with the what we all assume. Here are four totally surprising, unintuitive facts about the early days of cinema. 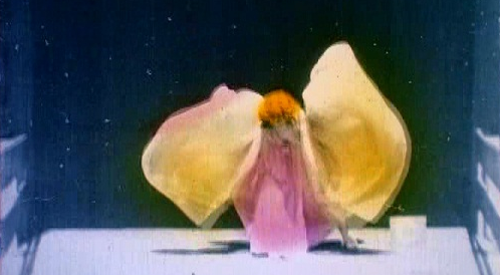 The first moving images weren’t photographed. They were drawn. Parlor toys such as the Zoetrope used multiple illustrations to create the illusion of movement–as cartoons would decades later–to create the illusion of movement. The Zoetrope wasn’t the first toy to use Persistence of Vision. The far cruder Thaumatrope had been invented (we’re not really sure by who) by 1824. 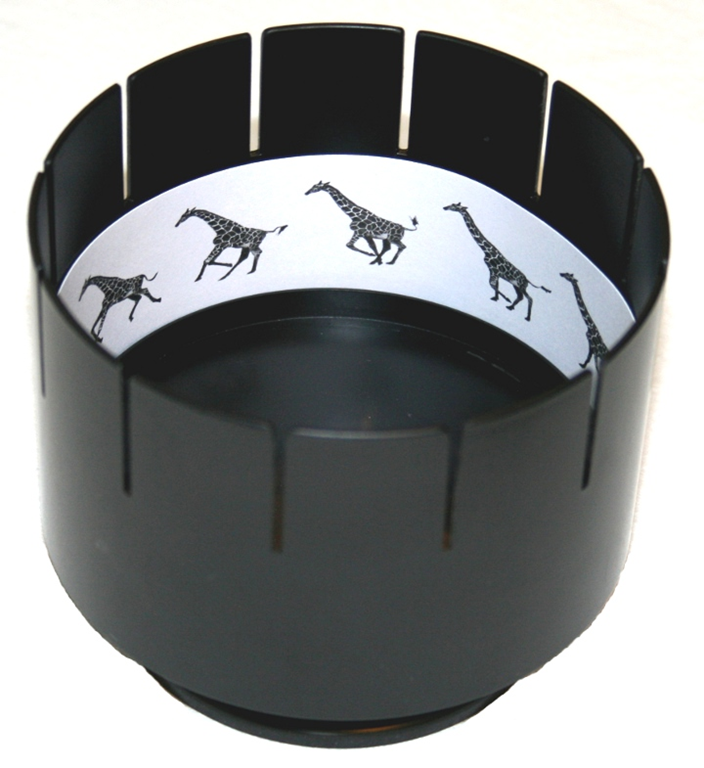 The Zoetrope came a decade later. It would take nearly another 40 years before Eadweard James Muybridge used multiple cameras to photograph a running horse, and thus creating the first live action moving image. If any one individual can be called the inventor of motion pictures, it’s Thomas Edison employee William Kennedy Laurie Dickson. Realistically, no one man created the technology, but Dickson was the first (as far as I can determine) to punch sprocket holes in George Eastman’s new photographic film so that it could move in a reliable stop-and-go motion through a camera or projector. He created the 35mm, four-perf pull-down standard that is only dying now with the digital revolution. And according to his own account, as quoted in Terry Ramsaye’s A Million and One Nights, he was given the task "to combine Mr. Edison’s phonograph with a practical zoetropic moving figure device." Dickson also claimed that he showed Edison a talking picture in 1989. Did this happen? Ramsaye, along with later historians, doubted it. 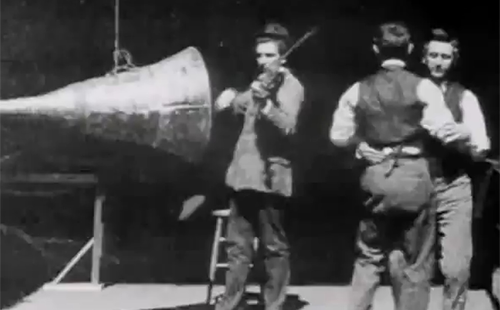 A few years later, Edison released the Kinetoscope without sound. But we do know that Dickson, still working for Edison, successfully created a way to record and show sound movies in the mid-1990’s. that was just around the time that Lumiere, in France, began to project motion pictures onto a screen in front of paying customers for the first time. Today, you can prove your maturity by complaining about blockbusters where the story appears to be nothing but an excuse for the special effects. I’ve even done it myself. And yet, historically speaking, that’s pretty much how it happened. It’s difficult to say who first started telling fictional stories on film. If you film a scene from a stage play, is that a narrative or merely a recording (especially if there’s no dialog)? Does it count if you film a man watering a lawn, and a mischievous teenager disrupts the chore. But a real story, taking ten or more minutes? 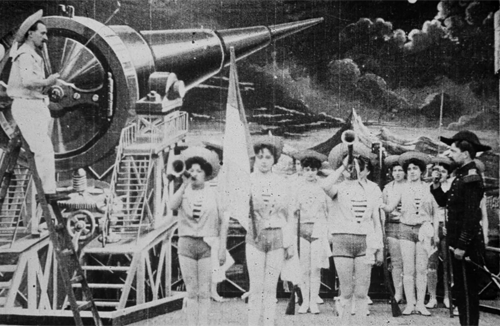 Arguably, the true inventor of narrative cinema was also the inventor of special effects, Georges Méliès. A professional magician, he started making movies because he could do effects in them that were impossible on the live stage. Eventually, he expanded his "trick films," providing stories such as A Trip to the Moon to provide a bigger canvas for his effects. You don’t need digital technology to colorize a black and white movie. It was done from almost the beginning of cinema. The early ways to add color were many. Tinting gave one color to the whole frame, with the color standing out most in the light parts of the image. Toning also colored the entire frame, except that the color stood out in the dark areas. Combined together, tinting and toning could create a vivid two-color effect. They also hand-painted prints in those days, which must have cost a fortune.